Of all the industries that blockchain technology has the potential to disrupt, education seems like one of the least obvious. However, current education systems are not keeping pace with technological developments, leaving students out in the cold. BitDegree’s concept is simple. Technology is outpacing the development of educational courses in traditional educational institutions. Therefore, the company seeks to provide the highest quality courses available to bridge an identified gap between employers’ needs and the current offerings of universities and higher education institutions. BitDegree likes to think of their platform as a merged version of Coursera and HackerRank. BitDegree is designed to not only educate those people wishing to pursue a degree in IT who are barred by an inadequate traditional education system, but also act as a matchmaker of sorts between students and prospective employers. Goal and course completion is incentivized with smart contract-based payments in their native token (BDG). Yes, you get paid to learn. 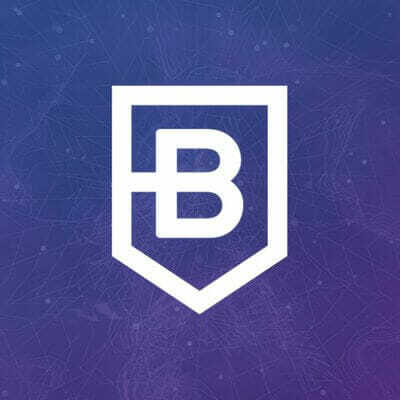 BDG tokens are used as payment for courses as well as incentives. Not only that, potential employers can sponsor prospective employees, thereby paying course costs for the student rather than the student having to pay themselves. This option can make education a reachable goal for many who would be excluded on financial or geolocational grounds. BDG is the token on which the whole BitDegree ecosystem runs and acts as the catalyst for reward-based, gamified learning and the matching of IT employers with candidates. WHAT TYPES OF COURSES CAN YOU TAKE ON BITDEGREE? Although their ultimate aim is to provide complete IT degree programs on their platform, that might take some time. However, their course list is growing very quickly indeed, and for a limited time, all their courses are free, including their Solidity programming course. In addition to their standard Solidity programming course, Space Doggos teaches you how to program a game in the Solidity language. It is a gamified way of showing you the necessary skills to program smart contracts. Right now, their other offerings are limited to tutorials such as “Blockchain Explained: The Ultimate Guide to Understanding How Blockchain Works” and “Ethereum Mining: The Ultimate Guide on How to Mine Ethereum.” Overall, these tutorials are perfect for anyone exploring blockchain technology. BitDegree exists to democratize education and match potential IT candidates with suitable employers. As mentioned earlier, the company sees itself as being like Coursera. However, the core difference lies in the use of smart contracts to incentivize learning. Matching potential employers and candidates obviously involves data sharing, and anyone who is concerned about the way their data is protected can rest assured that only the information that a user wants to share will be shared. Looking ahead at BitDegree’s future roadmap, it’s clear that the team is dedicated to developing within the edutech field. According to their roadmap, in Q1 of 2019, they will be launching the first 100 courses to the public and will finalize their course material repository. Although e-learning and gamified learning aren’t original concepts, democratizing education with incentivization and sponsorship programs could see the old guard of musty private educational institutions begin to crumble.